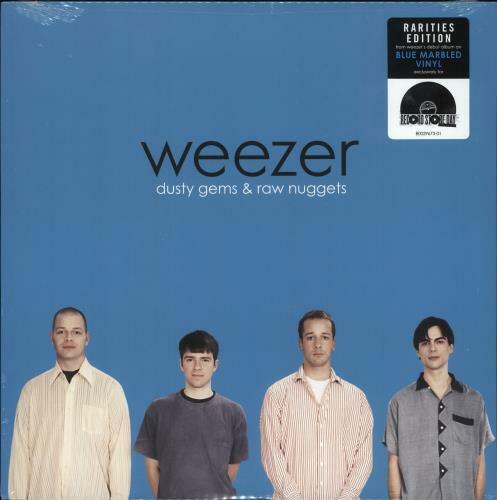 WEEZER Dusty Gems & Raw Nuggets (2019 UK limited edition 14-track LP released exclusively for Record Store Day pressed on Blue Vinyl. 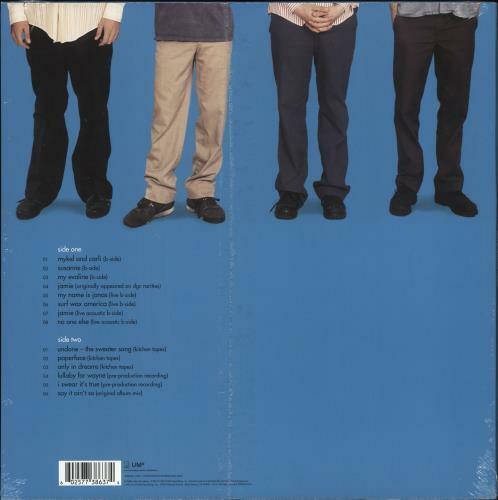 The FIRST EVER vinyl pressing of the bonus recordings taken fromthe Deluxe Edition of the 'Blue' album, including B-sides, Rarities, alternate mix of 'Say It Ain't So', demos and more. The vinyl is BRAND NEW & UNPLAYED housed in the picture sleeve which remains sealed within its stickered shrinkwrap).